Let your sherwani and saree clad guests enjoy the novel experience of being ferried back and forth over the lake’s pristine waters for every event. 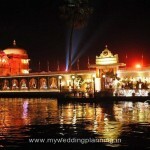 The guests are ferried in decorated boats across the lake in form of a procession to the Jagmandir Island in the middle of Lake Pichola, decorated with lights for the special occasion. 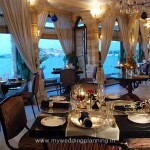 The whole island has an encompassing view of the City Palace, Lake Palace, the Lake and the Aravali ranges of hills. The sight as one nears the island is stunning, as the whole island is beautifully illuminated and looks like a floating jewel. Once inside, the place transports you to another era, recapturing the essence of royal leisure palaces. 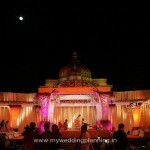 Built on Lake Pichola, Jag Mandir is a dazzling wedding venue. 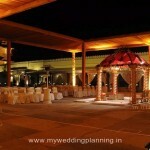 You can walk by its elephant flanked facade on to the Verbena-scented gardens for your evening reception. It was in this pleasure Palace where, Prince Khurram, later on become the Emperor Shahjahan of Mughal dynasty. It is claimed that he derived his inspiration to build Taj Mahal from this island. 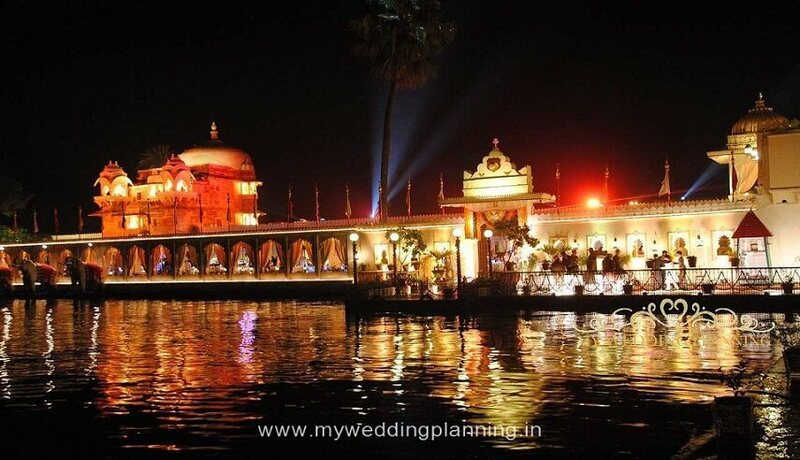 This claim makes the whole event even more romantic.The picturesque Jagmandir Island Palace today plays host an elite clientele of film stars and national leaders amongst others. 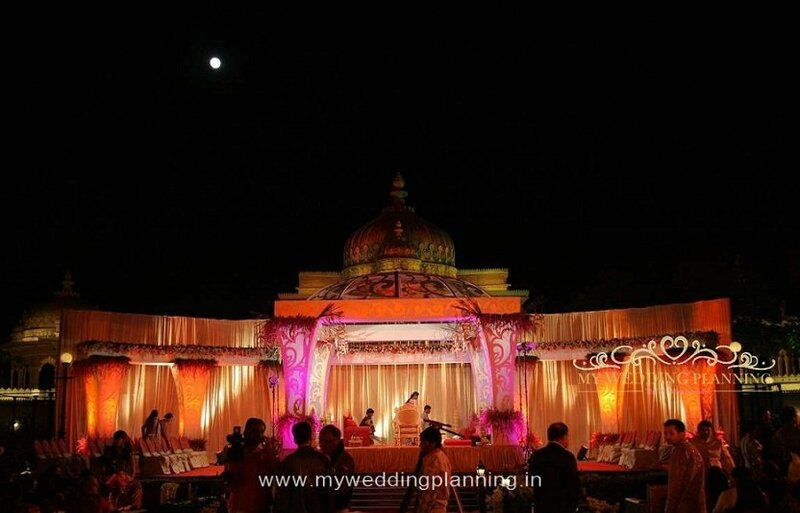 Year after year, Jagmandir Island Palace also continues to make news in the global glamour world for the exclusive ‘regal wedding experiences’ it offers. What’s more, revel with your guests in the unique butler service-where royal butlers are able to discern your every need and anticipate your wants even before you know they exist. 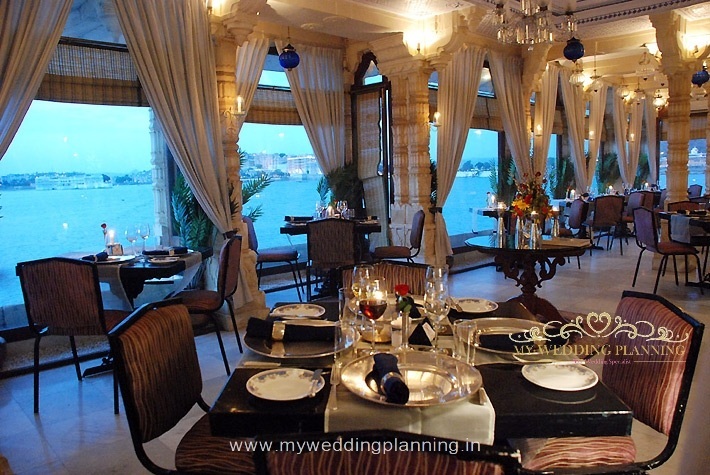 At the Darikhana Restaurant, Picholi Bar and all-day café you can leisurely spend hours gazing across Lake Pichola and the City Palace complex. For history-lovers there’s Jagriti, a heritage museum onsite to give a fill on how Jagmandir Island Palace was built and developed over the centuries. 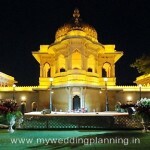 Jagmandir Island Palace is often referred to as a ‘swarg ki vatika’ or ‘garden of heaven’. 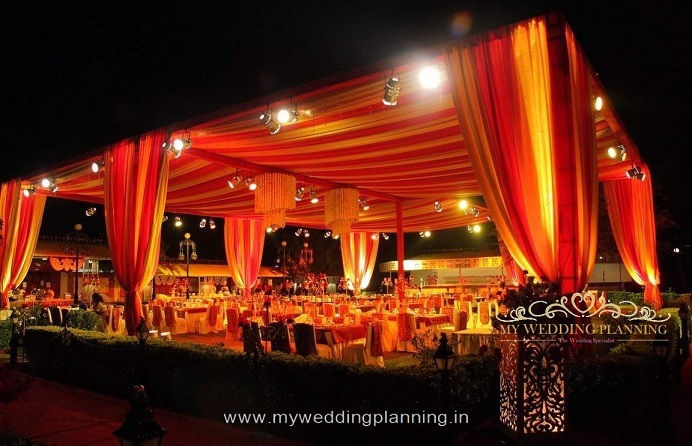 When cocktails, theme-dinners, banquets and wedding ceremonies are organised here, the flowers and special lighting, folk dancers and fireworks bring alive this garden of heaven in vibrant colours of celebrations. 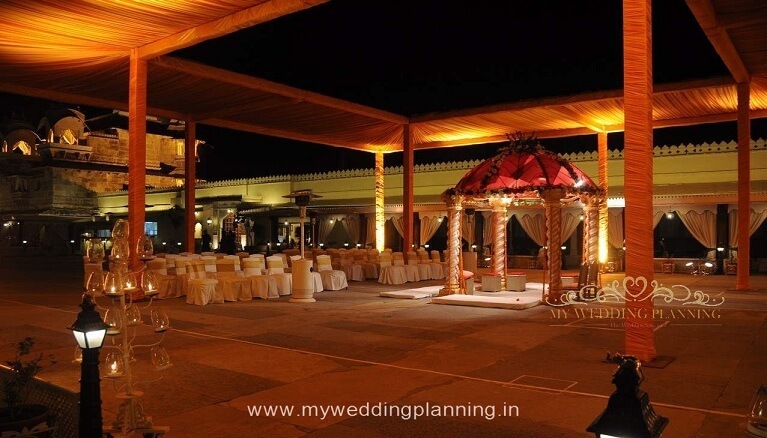 Jagmandir Island Palace has dedicated heritage venues that challenge your creativity in pampering your guests. At The Panghat Spa and Salon, it’s the body-mind-and-soul that is pampered. Yoga and meditation classes are conducted for those seeking quests beyond the material. 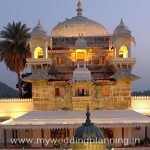 Jagmandir Island Palace, with its special place in history, will by now secure a special place in your heart. 100 guests is Rs.10,000+ taxes per person. 200 guests is Rs.9,000+ taxes per person. 300 & above is Rs.8,000+ taxes per person. Entertainment: Rajasthani Folk Dance or DJ Music Local.